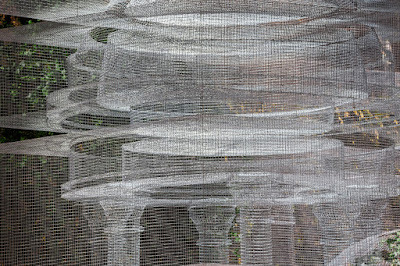 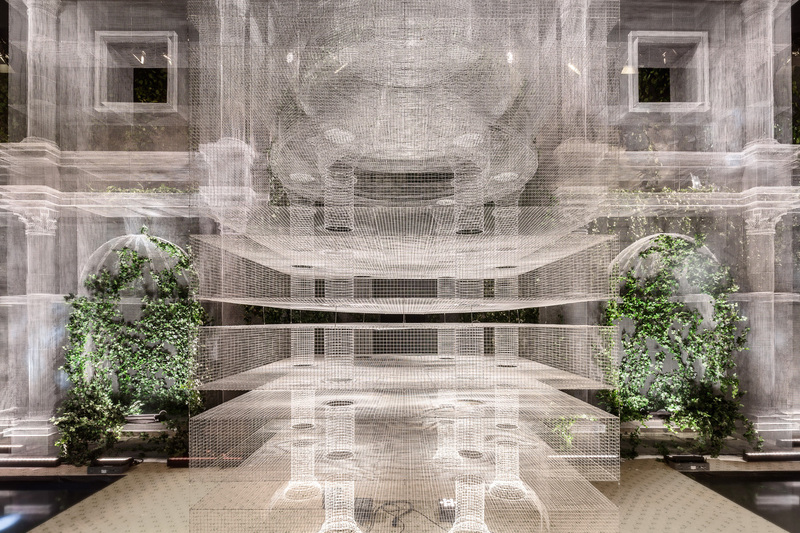 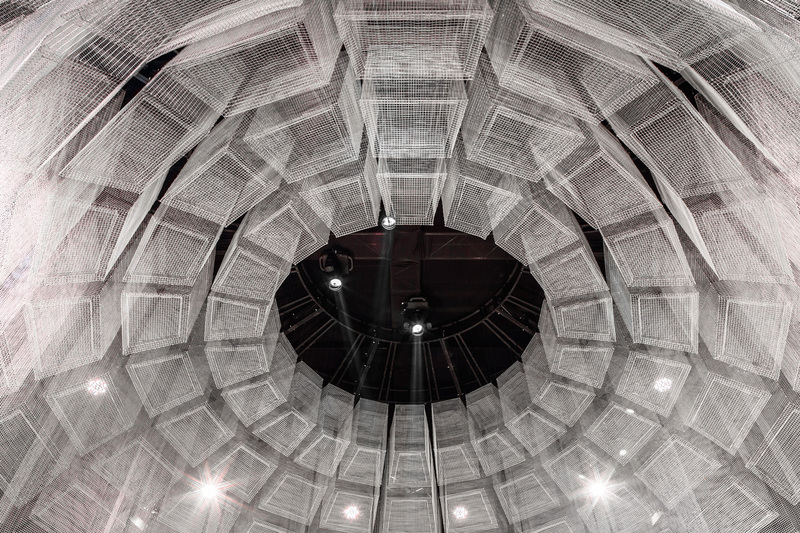 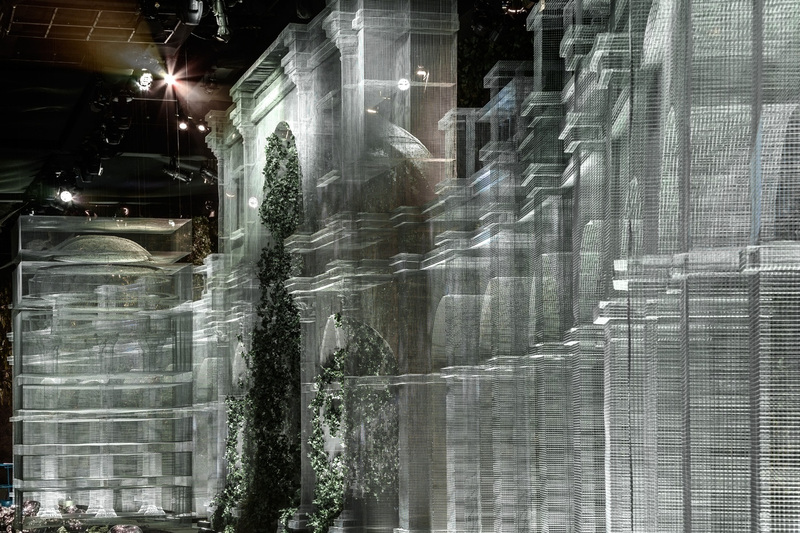 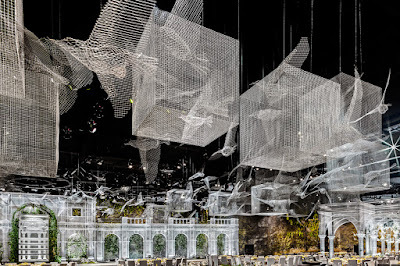 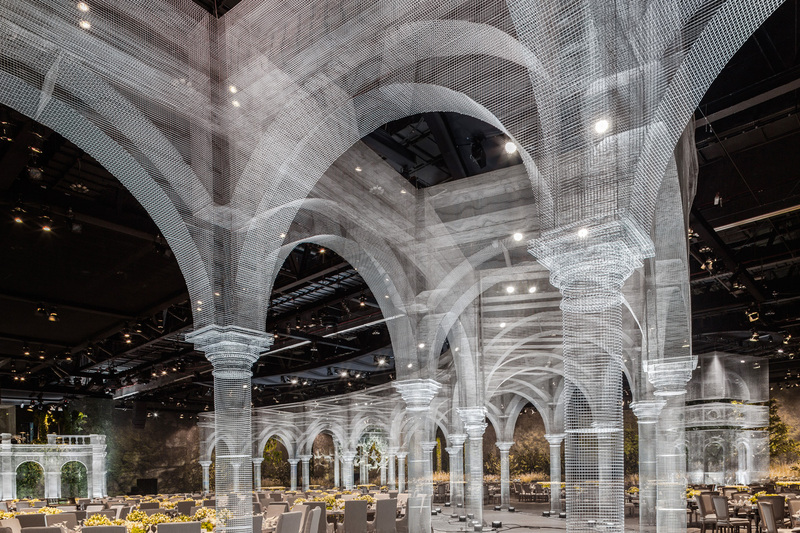 Wire mesh installation featuring architectural fragments in Abu Dhabi. 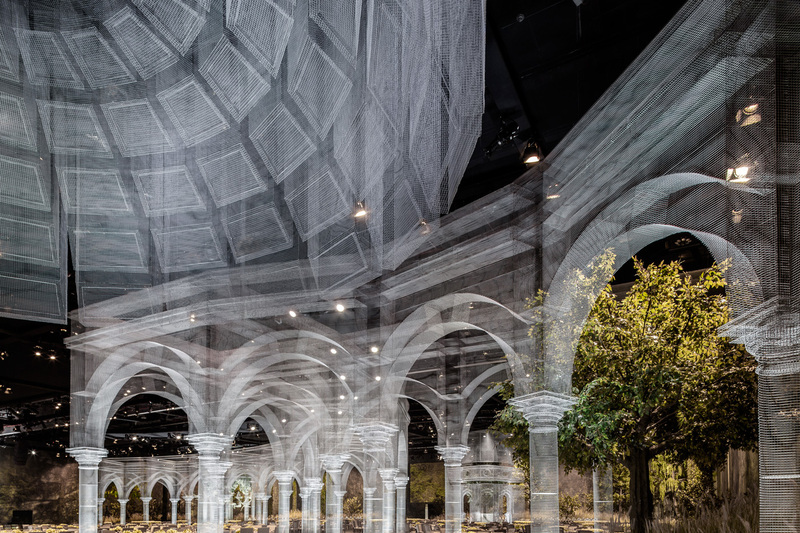 Commissioned for a large-scale event in the Emirate of Abu Dhabi, Edoardo Tresoldi in collaboration with Design Lab Experience have constructed a vast indoor "piazza" of architectural fragments. 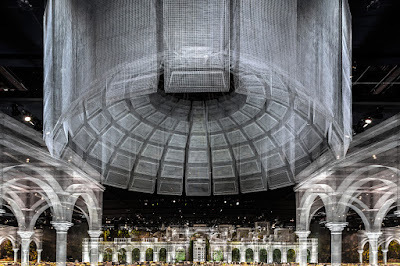 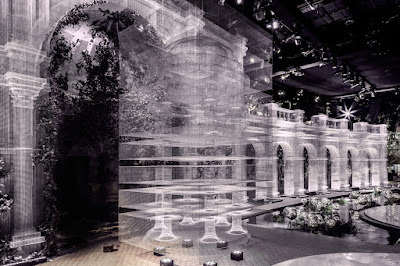 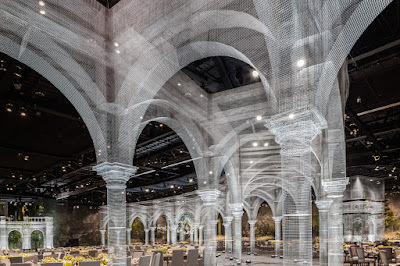 Accommodating a 7000sqm event space, each "Classical" element is built entirely from wire mesh and comprises domes, arches, colonnades, columns, and imitations of sacred spaces (namely Italian basilicas). Together they create a translucent and ephemeral sequence of indoor rooms – all layered by a strikingly contemporary aesthetic.